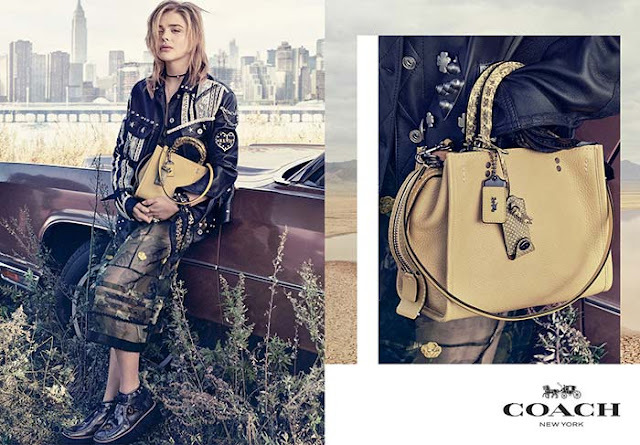 Coming back for another season with Coach is actress Chloe Grace Moretz who stars in the high-end label's Spring/Summer 2017 Campaign. The young actress is the epitome of style and elegance, and shows off accessories from Coach in the campaign with the backdrop of the New York skyline. Paying homage to the city and Coach hometown, Chloe is chosen is to appeal more to a younger audience, increasing the label's presence in the industry. 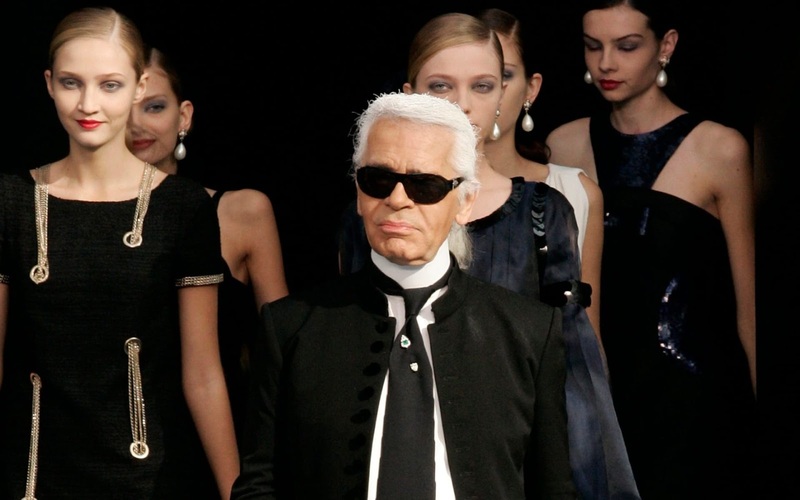 Styled by Karl Temper with the photography works of Steven Meisel, Chloe flaunts both the label's popular structured handbags and feminine ensembles. 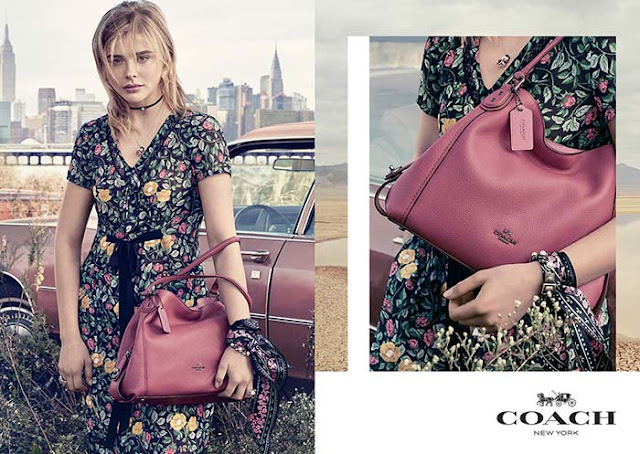 The juxtapose of pictures create an illusion that perfectly shows off the style aesthetics of the label, and also gives a look at some of Coach's trendy and romantic designs. Embellishments and studs are seen on the designs, and the clothing presents a fresh and bohemian vibe, adding edge to the looks with leather chokers.